Check out our other websites for more products, we have a range of different products for you to choose from. From Apparels, Stress Balls, IT Products, USB, Mugs &amp; so much more. Used to promote businesses and brands, promotional products are a popular topic amongst marketing teams around the world. With so many options to choose from, how do you pick the right product for your brand? Picking the right promotional product comes down to the type of clients or customers you have, the type of promotional campaign you are running, and what you want your promo campaign and product to say about your brand. If you work with large corporate clients, you may choose something like stationery or USB flash drives; if you run events or work with small start-up companies you may choose products like branded compendiums or desk accessories. There are a number of reasons businesses use promotional products, including increasing brand awareness, mass promotion at a low cost, provides variety to your marketing plan, ability to be flexible with seasonal items and an interesting way to introduce a new product onto the market. 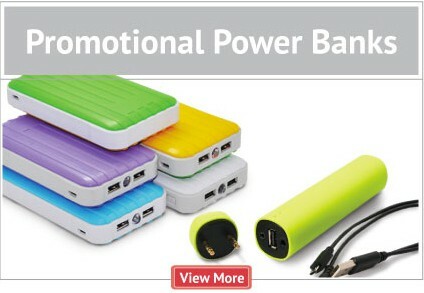 Promotional products often have a roll-on effect in that not everyone is going to be able to use say a Powerbank so they pass on your branded item to a friend or family member which raises awareness of your brand even further. No matter what type of business you run, or who your clients are, here at Brand Republic we have a huge range of promotional products to suit any promotional or marketing need that you can brand with your logo. Our large range includes apparel, car accessories, desk accessories, stationery, technology, travel accessories as well as other popular items such as branded pens, custom lanyards, promotional USB’s and printed umbrellas. A one-off cost of the purchase of the product could see your brand getting exposure for years to come. If you are in need of some new branded promotional products, we have products that suit events and functions, corporate gift baskets or gifts to new clients; with a range of almost 30 different categories and hundreds of individual items you are sure to find what you need. Today, the market is highly competitive and there are several businesses in every industry. If you want your company to enjoy any success, you need to have a solid marketing and promotional campaign in place. Businesses use many different mediums to promote their goods and services. A combination of digital marketing techniques and more traditional forms of promotions and marketing that are still very useful and relevant and promotional products are just what you need. At Brand Republic, we believe promotional products are one of the most effective ways to bring lasting recognition for your brand and a worthwhile investment. Gifts – They can be used as gifts for your employees and colleagues as promotional products are both useful and stress-free. You won’t have to browse through several stores to find gifts that your associates would appreciate. You can just browse our website, choose the items you like, upload your designs, and place your order. To Customers at Events – If you want to stand out at trade fairs, conferences, and conventions, you need to do something unique. 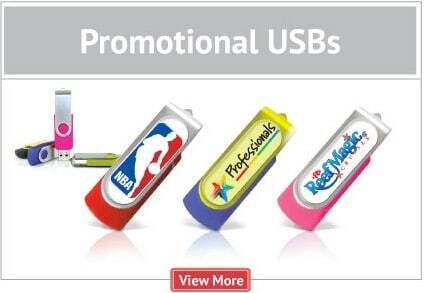 Promotional products can be just what you need to get things done. Because these items are so affordable and easy to purchase, you won’t have to worry your marketing budget. We can also ship these items directly to your event location. Build Brand Loyalty Through Sales – Customers love to collect branded items from their favourite brands. They’re even willing to pay money for it, which is why many companies do sell branded items like t-shirts, coffee mugs, bags, etc. This is a great strategy to promote your brand and earn some added revenue as well. This might not always work, but when it does, it gives great results. They’re are a very inexpensive investment in your brand. Promotional products are very affordable and you only need to spend a few hundred dollars to purchase several dozen items. The investment is long lasting. If you purchase good quality products like the ones we sell, you can expect them to last for many years to come. They’re very useful, which makes them appealing to your associates and customers. This appeal and utility can considerably increase your brand visibility. The above methods are the main branding methods we use. We will always recommend the best method for your branded product. Lanyards have always been a great way to get your brand out there. They are practical and inexpensive and are easy to brand. Our printed lanyards come with a variety of accessories that can further customise the product thus adding more appeal to the user. Polyester – the most popular and versatile. Nylon – sturdy for long-term use. Woven – for one and two colour logos. Bootlace – compact and good looking. Satin – for a bit of elegance. PVC – water resistant and easy to clean. Rope – inexpensive for promotional use. PET – a eco-friendly choice. Faux Leather – when you need to make a fashion statement. There is no better way to expand your brand then with corporate clothing. We have a large range of custom apparel options which are sure to tick all your boxes. We have supplied corporate clothing to customers both big and small. Our extensive relationship with both local and overseas suppliers gives us the ability to tailor your range according to your budget. Whether your are looking for polo shirts with your logo embroidered or a stylish business shirts we have you covered. Branding options for our range of clothing and apparel includes embroidery, screen print and heat transfer. The branding options for the pens is screen print, pad print and laser engrave. The plastic pens can only be screen or pad printed. The metal pens can be printed or laser engraved but we recommend engraving as it is more durable and will not rub off in the long term. 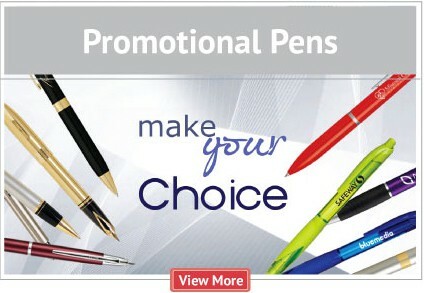 All pens can come either bulk packed or in a gift box depending on your budget. The most popular branding options for bags is either screen print or heat transfer print. Screen print is used more for simple spot colour logos. Heat transfer print is for more complex logos and where there is a gradient. We have a huge range of custom printed mugs. 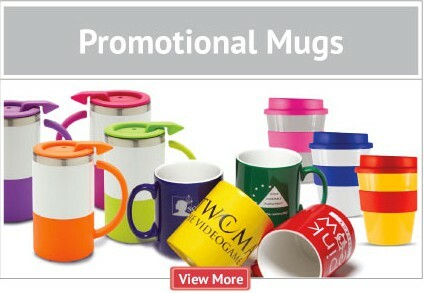 We have a promotional mug to suit any occasion. Whether you are looking for a standard mug for your office staff or something fancy for premium customers or events we have you covered. Our range of coffee mugs and coffee cups are a great item for branding. Coffee mug and cups generally have a large print area which lends itself well to printing almost any logo or message. We also have wrap print and photo print options should that be needed. Call us at Brand Republic if you want to know more about our promotional products and other services. Just give us a call on 03 9646 7066 or fill in this contact us form and we’ll get back to you as quickly as we can.